Fiiiive Shuri-ken – iris elsewhere. Four throwing knives, three nunchuks, two blow guns; and a rabbit that may weeeell kill youuuuu. 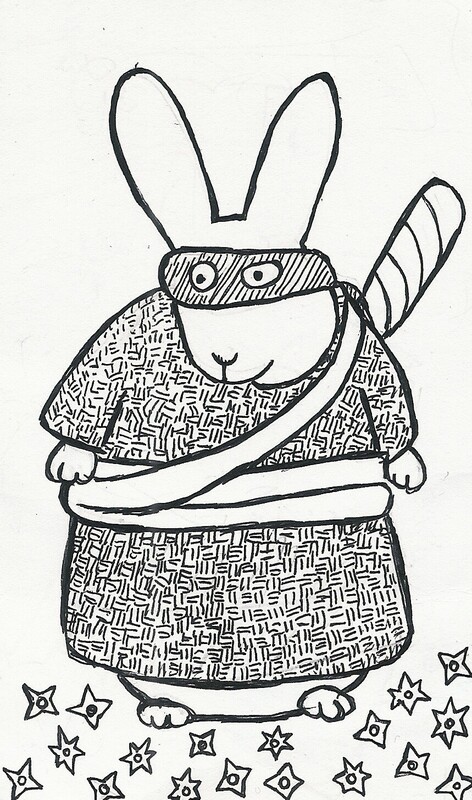 On a side note: I googled this AFTER drawing, and ninja rabbits seem to be a trope? The internet is lovely sometimes.